The Cheshire Union of Golf Clubs currently provides appropriate support and guidance to 98 affiliated golf clubs in Cheshire. The County Secretary is responsible for upholding the rules and governance of the County Union including acting as Company Secretary to CUGC Ltd and ensuring that the day to day operation and administration of the Union’s affairs are carried out appropriately. 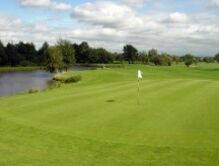 Specifically the County Secretary must ensure that the County maintains an accurate up to date record of individual Club’s membership and affiliation fees; offer specialist advice and interpretation of R&A rules, CONGU and Course Assessment; ensure that the venues and programme of County events including Matches, County Championship, Delegate meetings and the AGM are in place. To fulfil this role you will need to have a good knowledge of the game of golf and the structure of national, regional, county and club based sport. 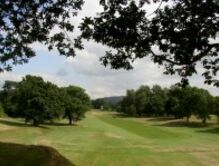 The role requires regular communication and liaison with County Officers, Northern Counties, England Golf, Northern County League and all affiliated golf clubs in the County and you must build and sustain good relationships with CUGC officers, Club officials, Life members, volunteers, suppliers and partners. This role oversees and arranges all County events and matches and it is important to have excellent time management skills, the ability to prioritise effectively and an understanding of working with vulnerable persons and the associated national bodies. The job requires an in-depth knowledge of IT systems with particular emphasis on Excel, Power Point, Intelligent Golf and word processing skills. The post is full-time, based on an annualised hours contract of 1600 hours and you will be required to travel/work weekends and evenings as appropriate. The position is based at the County Office in Chester with some working from home. Remuneration: circa £32000, depending on previous experience. 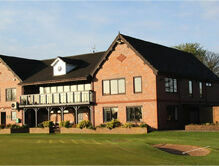 Cheshire County Golf Union is an equal opportunities employer.